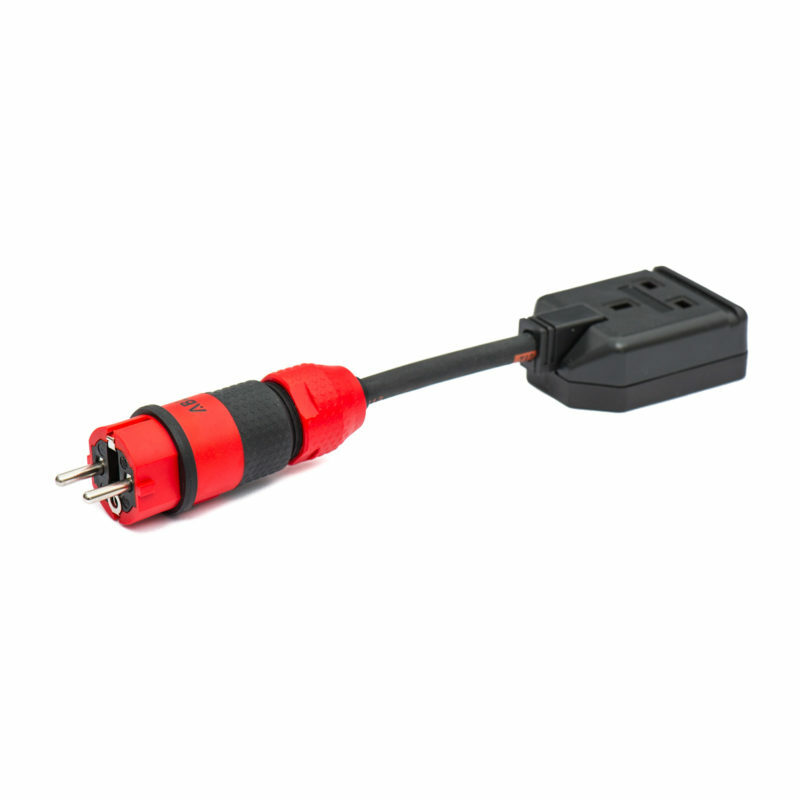 Heavy-duty Schuko to UK 3-pin socket adaptor. 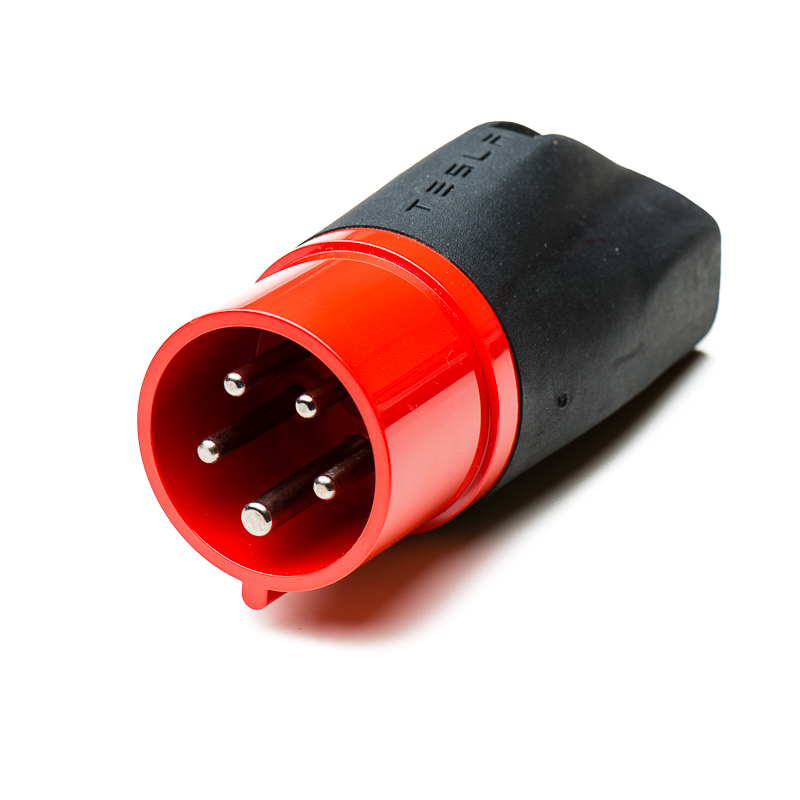 This adaptor isn’t designed to be used with our Standard or Compact ranges, but can provide a useful alternative for when you don’t have the Tesla 16A 3-phase red UMC adaptor, and wish to charge using the 3-pin UK plug pigtail or a charger other than the UMC. 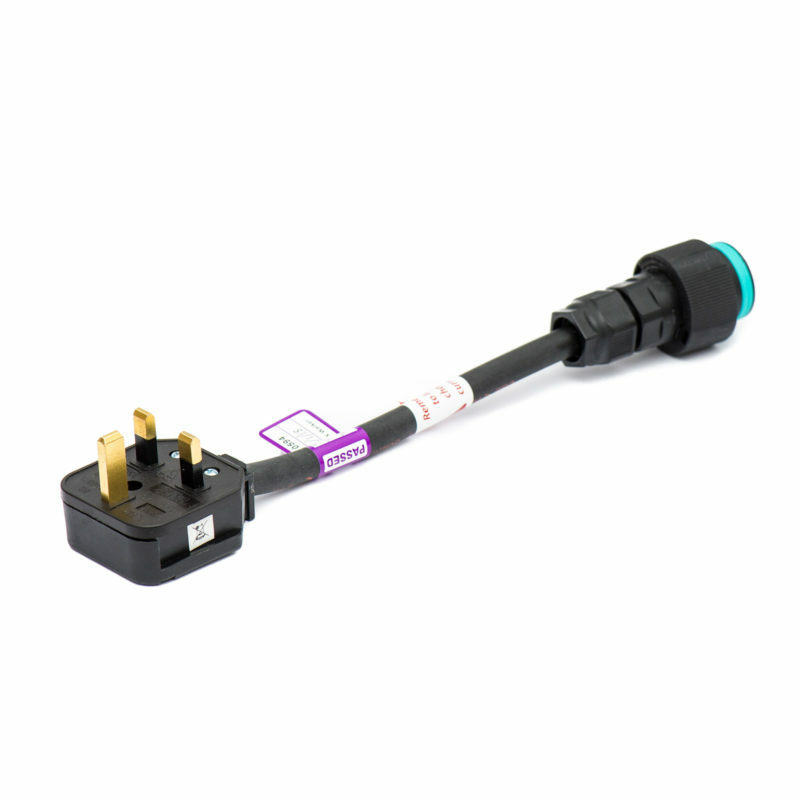 This can also be used in conjunction with a UK extension lead to provide some extra length. Plese note that if used in France, you might not be able to charge due to incorrect wiring of the “Type F” socket (live and neutral reversed). 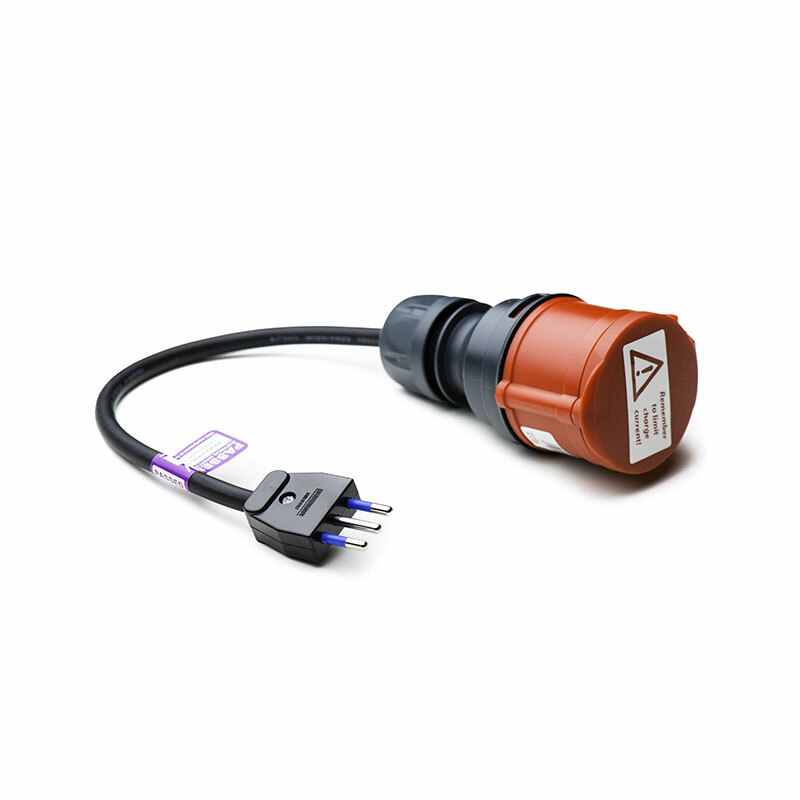 This can be resolved by inserting a Schuko phase inversion adaptor.